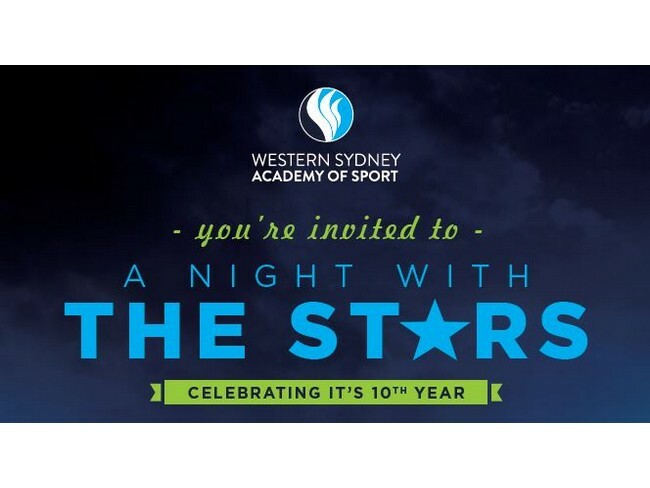 The Academy is excited to Celebrate the 10th Anniversary ‘A Night With The Stars” fundraiser dinner! Over the past 10 years the event has become a landmark event for the Western Sydney region raising much needed funds for the Academy to continue supporting young athletes in their endeavour to become elite level athletes. The event is to take place at 7pm on 22 March 2019 at the Lyceum Room, Castle Hill RSL Club. Tickets include a delicious 3-course meal, beverages and entertainment! Fiona Crawford will be in attendance as the celebrity MC, there will be bar stool banter with celebrity sport stars, a major raffle and impressive live and silent auction items including an Event Cinema Gold Class voucher for 38 people, a $2,000 spending spree voucher for Robert Cliff Master Jewellers and much more! This is an event not to be missed! For inquiries or to book a table email natalie@wsas.com.au or call (02) 4725 6467!